Trimstone Manor Hotel is located near Woolacombe offering pet friendly holidays within easy access of many sandy beaches in North Devon. The hotel is happy to allow dogs in certain bedrooms. 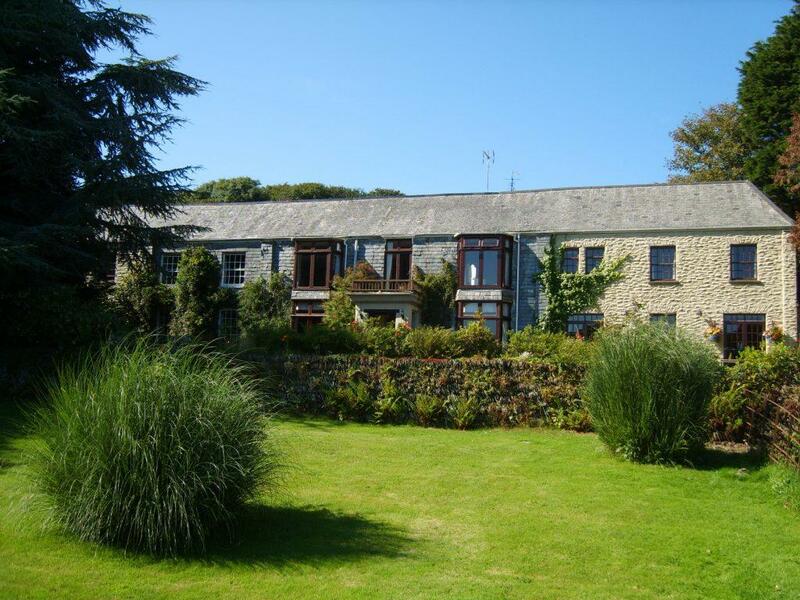 Trimstone Manor is set in 44 acres of landscaped gardens and grounds. The Hotel incorporates en-suite bedrooms and family suites, most of which have views of stunning North Devon countryside. We are within minutes of many fine sandy beaches such as Woolacombe Bay, Saunton Sands and Croyde, great places to take your dogs. Ilfracombe is just a short drive to the north. Whatever the weather there is always something to do at Trimstone. Guests are welcome to use the games room, tennis court, indoor heated swimming pool, sauna, walk in the grounds or simply relax in a quite spot with a drink and a good book. The Hotel has a Bar and Restaurant. As you will see, Trimstone Manor is set in beautiful grounds amid lovely rural surroundings and we would like you to feel free to walk around the area. From Trimstone Manor it is possible to take some short walks along the very quiet narrow country lanes but please do be aware that occasionally they are used by farm machinery. Woolacombe sandy beach only a short drive away. Facilities - Linens provided - Small Children welcome - No Smoking, Yes off-road parking, More than 1 acre, Parking, Gym Room, TV, Swimming Pool - Shared, Phone, WiFi. Payment by Cash, Cheques/Other, Debit Card, Mastercard, Visa. 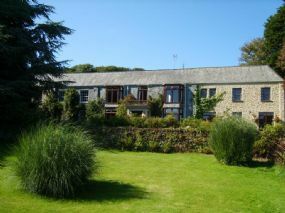 Dog Friendly Self-Catering Cottages. Stunning development of twenty-eight stylish and contemporary holiday villas is set within the St Merryn Holiday Village near Padstow. There are several nearby beaches which allow dogs year round, the nearest of which is Constantine Bay, approximately 3 miles away.